It’s fun eating lots of bread on a weightloss program. Everyone will tell you bread makes you fat. You hear it so often, you start to believe it. But Europeans didn’t get fat eating bread for hundreds of years. And bread is wonderful. 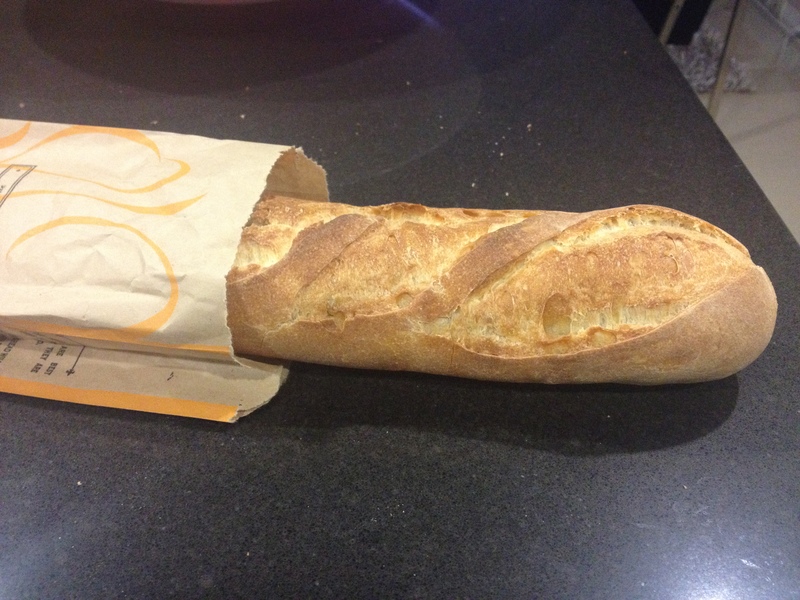 So I ate this 150g half-baguette with dinner, and had two 50g buns with my veggie burgers today. That’s 250g of bread, totaling about 675 calories. That’s nothing.